West Coast Machinery has a modern, 10,000 square foot showroom and parts facility. Hundreds of woodworking companies turn to West Coast Machinery each year for reliable and dependable equipment, service and parts. 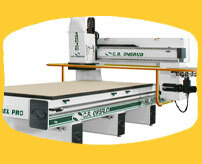 In our showroom, a full product line of woodworking machinery is under power and ready for a demonstration and trial run. Rely on the professionals at West Coast Machinery. We'll put our decades of experience and know-how to work for you and devise the best and most cost-effective strategy for solving and capitalizing on your production needs. A professional factory certified service technicians and dedicated parts professionals are at your service. For more almost three decades, West Coast Machinery has been suppling the needs of woodworking plants and shops both small and large. Located in Sacramento, California - West Coast is one of the largest machinery suppliers to the industry in the area. We service customers throughout Central and Northern California, Southern Oregon and Northern Nevada. We won't just sell you a machine and disappear. Instead, we offer the backing and support of the largest manufacturers in the industry and comprehensive training to your staff. Plus, we feature a professional and factory-certified staff of service technicians who will ensure that your new machine works as well 10 years down the road as it does the day it debuts on your plant or shop floor. In short, we are committed to the machinery we well and the success and growth of your business. West Coast Machinery maintains one of the largest and most complete parts facilities in the region. In most cases, we will ship a part on the same day it is ordered, and many times we'll actually deliver and install it. It's all part of our ongoing pledge to guarantee the finest and fastest service after the sale. At West Coast Machinery, all of the machinery we sell is fully backed by both us and the manufacturer. 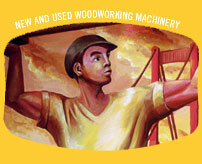 Like any fine-tuned piece of equipment, high production woodworking equipment requires periodic maintenance and service. For all scheduled maintenance and service, we'll work around your schedule and for added security and peace of mind, we also offer extended service contracts. In the event of a breakdown, we'll quickly dispatch one of our factory-trained technicians to get your machine up and running and back on-line. Because we're local and our service technicians are full-time employees, we also feature the quickest response time in the region. When you purchase new machinery from West Coast Machinery, we'll provide the classes and training that ensure your staff is up to speed and able to take full advantage of the features and benefits of your investment. To match your busy schedule and as a service to you, our training classes are offered either in our Sacramento facility or on your production floor. if you need tooling and supplies, West Coast Machinery has one of the largest and most comprehensive inventories of tooling and shop supplies in the business. Small everyday items to large special orders - we offer it all. Saw blades, tooling, cutter heads. 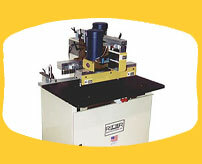 West Coast will ship or hand deliver the tooling you need at prices you can afford.